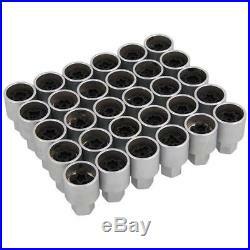 > 30PC MERCEDES LOCKING WHEEL NUT KEY SET. 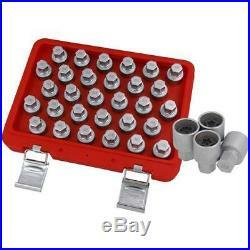 > 30PCS WHEEL LOCK ADAPTER(CHROME PLATED) > #301, #302, #303, #304, #305, #306, #307, #308, #309, #310 > #311, #312, #313, #314, #315, #316, #317, #318, #319, #320 > #321, #322, #323, #324, #325, #326, #327, #328, #329, #330 > 1SET/RED BLOW MOULD CASE WITH "NEILSEN" LOGO + STAINLESS STEEL SILVER > BUTTON/"NEILSEN" COLOR SLEEVE "NEILSEN" LOGO. 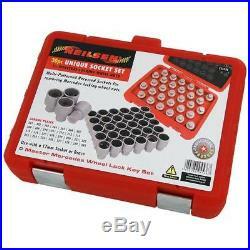 The item "NEILSEN 30pc Mercedes Locking Wheel Nut Key Set 4536" is in sale since Thursday, April 12, 2018. This item is in the category "Business, Office & Industrial\Hand Tools\Screwdrivers". The seller is "sheffield-tools" and is located in SHEFFIELD. This item can be shipped worldwide.